What exactly is South Bend Venues Parks & Arts? 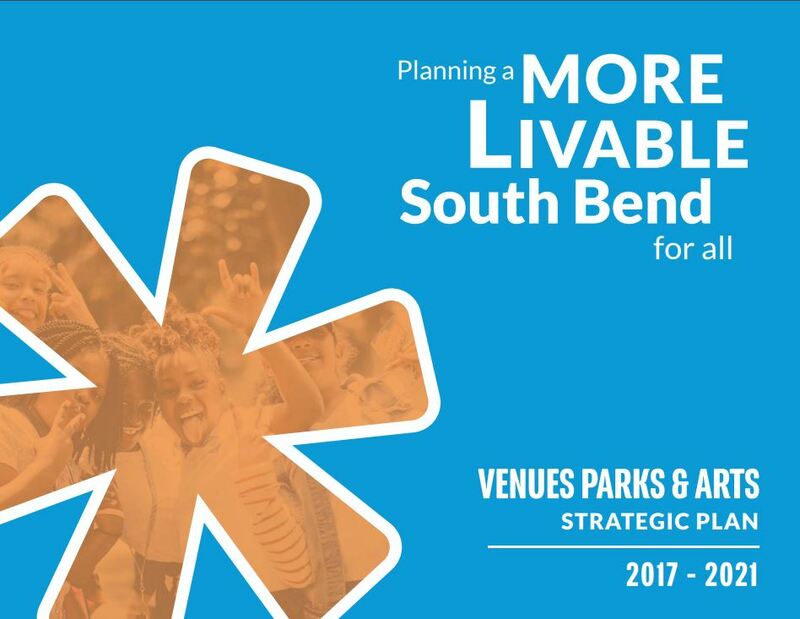 Venues Parks & Arts inspires a more liveable South Bend for all, connecting us to emotionally engaging experience and to one another. Every resident of South Bend is positively engaged at least once every year. Social Equity: VPA strengthens the community through increased inclusion by consciously serving all populations throughout our accessible venues, equitable parks and free programming. Ecology: We hold ourselves accountable for ecological progress, working to implement sustainable business practices, and engaging in public ecology education and protecting our environment. Safety: With a focus on safety programming and beautification efforts, we empower residents and employees to contribute, take pride and feel safe in our city. Impact: We cultivate innovative experiences to connect people more deeply to the fabric of the community and use our resources wisely to generate economic impact. Health & Wellness: We make a habit of promoting excellent health and wellness through increasing physical activity opportunities and providing access to parks in our city, thereby preventing obesity and reducing the incidence of chronic medical conditions. Looking for a staff member to connect with? Click here to see the directory.